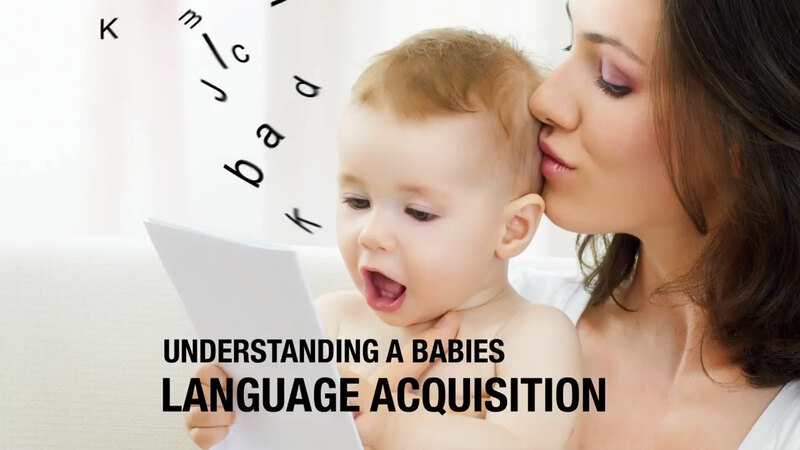 Pediatrician Sonya Sethi Gohill helps us understand a baby’s language acquisition. - Parents often ask me how their child will learn how to speak and when they'll be able to speak in full sentences. Children really don't need any type of formal instruction to learn how to speak. They really learn how to speak by listening to the people around them. They're actually studies that show that the more spoken words a child hears in their first few years of life, directly correlates with a higher IQ later. Now that doesn't mean that you can plop your child in front of the TV and expect them to have a higher IQ. It's really about spoken words, so you need to take the time to sit and speak to your child, especially in those first few years. By the time your child is two, he or she will likely be able to combine two words and will likely have over 50 words in their vocabulary. Over the next year, they'll develop even more language, and by the end of this year, will likely be able to speak in three or four word sentences. It's really important to read to your child. One of the reasons that reading is so important is because it gets you to say words that you wouldn't normally say in day-to-day conversation. For example, if you're reading a book, you might run across the word giraffe. You probably don't use the word giraffe in daily conversation, but if you read to your child, and the word comes up, you say it aloud, thus exposing your child to another word and increasing their vocabulary. Overall, reading to your child, talking to your child, playing with your child, these are ways that are gonna help your child develop their speech, and it's gonna be fun for you at the same time.